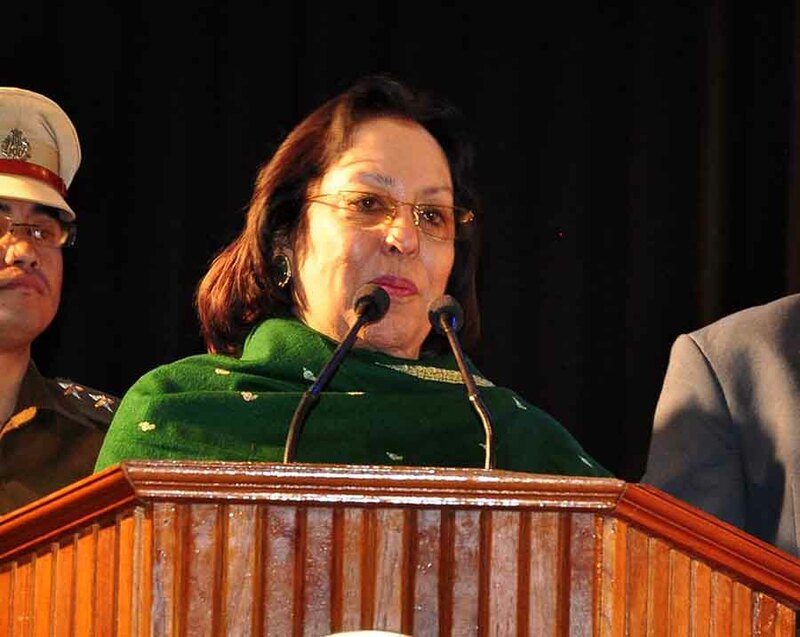 Having seen the colourful dance forms presented by the artists of state, Governor Najma Heptulla expressed that ‘Manipur is a right place to have a Cultural University’. The Manipur Governor was speaking during a special cultural programme organised in honour of the Governor of Manipur held at Chandrakirti Auditorium, Palace Compound, today. The special cultural programme was jointly organised by Manipur State Council of Indian Society for Cultural Cooperation and Friendship (ISCUF) and Department of Art & Culture, Government of Manipur. The state of Manipur has vibrant and rich art and culture in form of dance, performing arts and music, she said adding that the cultural presentations are remarkable which shows the cultural richness. She further lauded the participating dancers and choreographers. As part of the programme State Governor also released a book ‘Meitei Inatki Isei’. The special cultural programme showcased Nachom dance, kathak dance and Manipuri Ballet based on Viswakavi Rabindranath Tagore’s famous short story ‘Kabuliwallah’. Artists from Manipur Jagoi Marup presented the performance. Vice Chancellor of Manipur University of Culture N Khagendra; Managing Trustee of Alvas Education Foundation, Karnataka Vivek Alva and visiting professor of Arizona University, USA Sunilmar Sarkar attended the cultural programme.